Lately I have not been very good at posting about my latest sewing ventures. I have been sewing a lot in fact, just not writing. I guess that happens when you have an almost 3 year old and a 7 month old baby. This is just part of this season of life, but I'm trying to make a more concerted effort to write in this space, especially since I'm trying to get a new business idea off the ground. 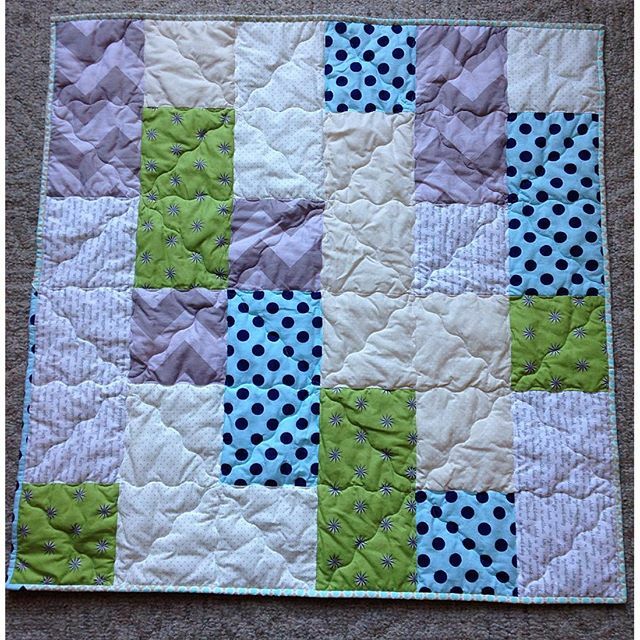 I made this quick and simple baby quilt about two weeks ago for a baby shower. Just used some basic building blocks to make it. Love how it turned out considering I was taking it out of the dryer at 4 in the afternoon the day of the shower! I sure do like to cut it close. Another baby quilt for a shower I attended last weekend. For this one I used Fat Quarter Shop's free pattern Fat Quarter Fizz and just made the baby size. Best thing about this one, I pulled it entirely from my stash! 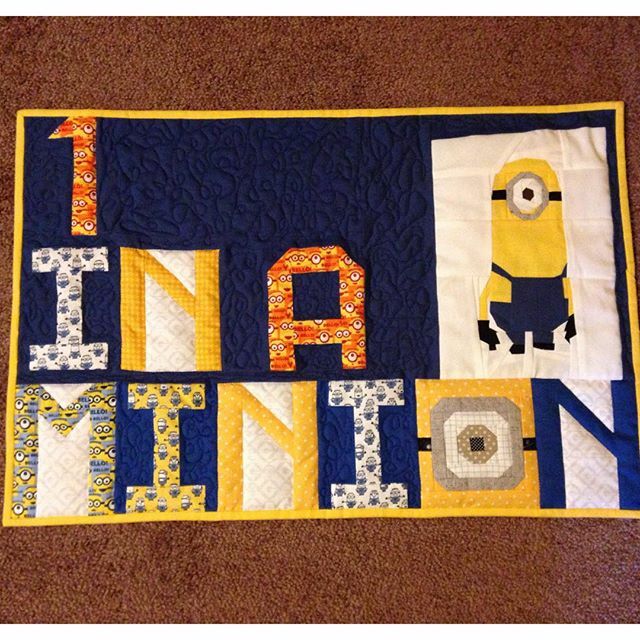 And finally I finished up m 1 in a Minion mini for the #minionminiquiltswap on Instagram. 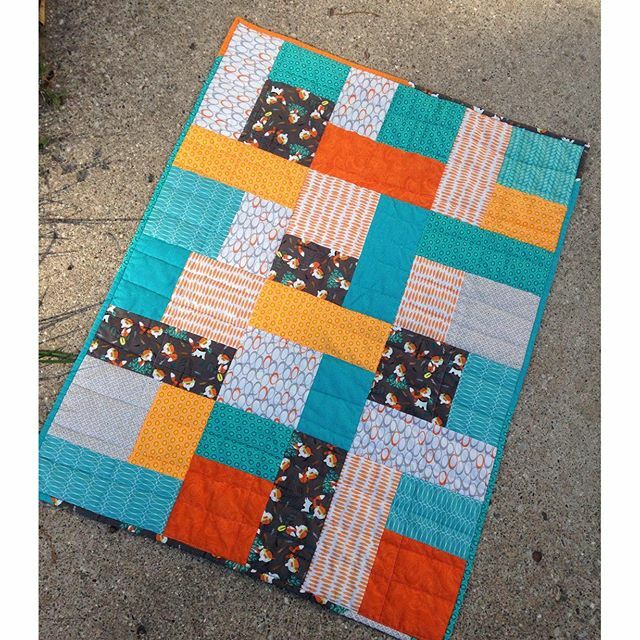 I love when the quilt that is in my head works out. I used the Spell it with Fabric for the letters reduced to 50%, created the minion eye pattern myself, and used the paper pieced minion from Fandom in Stitches. Now to just make a few Minion themed extras and I'm set for shipping! It feels great to get a few projects done, now to just finish up my other WIP's. Kendrik LOVES his quilt! Thank you! Nice work. I have a minecraft quilt on my list for Christmas. Thank you! I have a few nephews who love minecraft! A quilt will be awesome! Thanks for coming by and encouraging me!